“Let’s tessellate” is easily the strangest come-on line in years, a cerebral reciprocal of Yin-Yang Twins’ infamous whisper. The latest group on the precipice of indie universe ubiquity and/or rabid cult fandom is Alt-J, a four-piece from Cambridge, England. 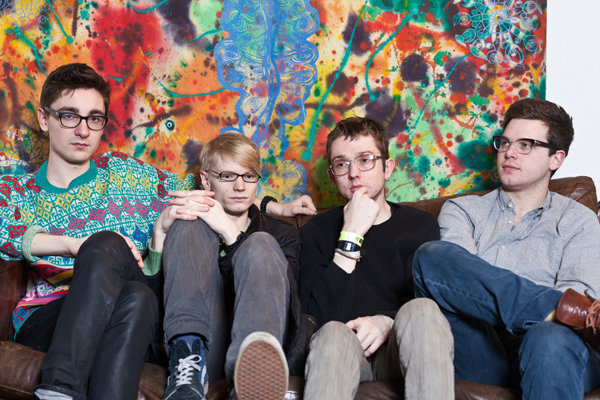 Their debut, An Awesome Wave, is a frontrunner for the 2012 Mercury Prize. Hushed harmonies are Alt-J’s hook, which would pigeonhole their songs as baroque pop if they weren’t further flavored with prog-tronic syncopation and hints of gloominess. Just as a piano line tips its hat to VH1-approved contemporaries, Joe Newman’s thick (and occasionally distorted) dialect violently swerves into predictability like an inscrutable bumper car. This is a band unafraid to be precious and peculiar in the same breath, though they generally lean toward the former.